Mercedes-Benz of Newton partners with Mercedes-Benz Financial Services, who understands that there is no such thing as a “one product fits all” concept. With that in mind, they strive to serve the individual needs of their more than 450,000 customers by providing comprehensive, flexible financing packages along with the highest levels of service, all delivered by professionals at Mercedes-Benz of Newton.You’ve chosen to drive one of the worlds finest luxury automobiles. Now choose the finance company that, for the last quarter century, has been offering the same quality you can expect from your Mercedes-Benz vehicle. 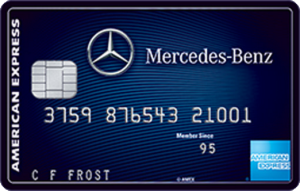 When you’re ready to finance your next Mercedes-Benz, choose Mercedes-Benz Financial Services- the one source exclusively dedicated to providing customized and affordable financing solutions for Mercedes-Benz drivers across the USA. You can modify your car any way you like with non-factory accessories. Modifying a leased car is not permitted, unless they are retailer-installed, factory-approved options. The journey just got more rewarding. Receive a $500 certificate each year you charge $5,000 in purchases, good toward the future purchase or lease of a new Mercedes-Benz.